Turks last went to the polls to elect local representatives on March 29, 2009. The ruling Justice and Development Party (AKP) received the most votes in the 2009 elections with 38.9 percent of the vote, although the figure was down significantly from the total it received two years earlier in general elections. The Ottoman Empire (Ottoman Turkish: دَوْلَتِ عَلِيّهٔ عُثمَانِیّه Devlet-i Aliyye-i Osmâniyye, Turkish: Osmanlı İmparatorluğu), sometimes referred to as the Turkish Empire or simply Turkey, was an empire founded by Oghuz Turks under Osman Bey in northwestern Anatolia in 1299. With the conquest of Constantinople by Mehmed II in 1453, the Ottoman state was transformed into an empire. During the 16th and 17th centuries, in particular at the height of its power under the reign of Suleiman the Magnificent, the Ottoman Empire was one of the most powerful states in the world – a multinational, multilingual empire, controlling much of South-East Europe, Western Asia, the Caucasus, North Africa and the Horn of Africa. At the beginning of the 17th century the empire contained 32 provinces and numerous vassal states, some of which were later absorbed into the empire, while others were granted various types of autonomy during the course of centuries. With Constantinople as its capital and control of vast lands around the Mediterranean basin, the Ottoman Empire was at the centre of interactions between the Eastern and Western worlds for over six centuries. 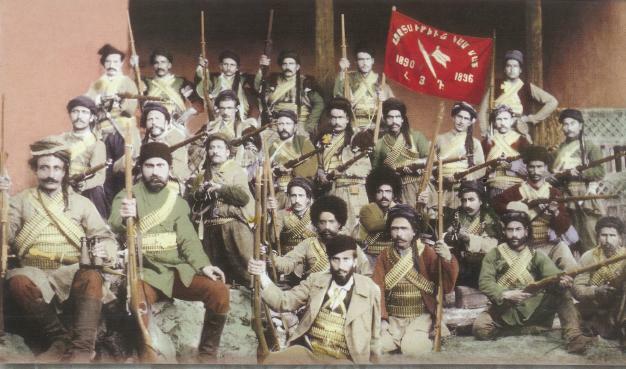 It was dissolved in the aftermath of World War I; the collapse of the empire led to the emergence of the new state of Turkey in the Ottoman Anatolian heartland, as well as the creation of modern Balkan and Middle Eastern states. The Second Constitutional Era began after the Young Turk Revolution (3 July 1908) with the sultan’s announcement of the restoration of the 1876 constitution and the reconvening of the Ottoman parliament. It marked the beginning of the dissolution of the Ottoman Empire. This era is dominated by the politics of the Committee of Union and Progress, and the movement that would become known as the Young Turks. #AceHistory2Research – EGYPT – March 29 – The history of the Republic of Egypt spans the period of modern Egyptian history from the Egyptian Revolution of 1952 to the present day, which saw the toppling of the monarchy of Egypt and Sudan, the establishment of a presidential republic, and a period of profound economic, and political change in Egypt, and throughout the Arab world. The abolition of a monarchy and aristocracy viewed widely as sympathetic to Western interests, particularly since the ousting of Khedive Isma’il Pasha, over seven decades earlier, helped strengthen the authentically Egyptian character of the republic in the eyes of its supporters. Egypt’s first four presidents were all drawn from professional military backgrounds, due in large part to the central role of the armed forces of Egypt in the Revolution of 1952, and oversaw authoritarian governments, with varying limits on political participation and freedom of speech. On 22–26 July 1952, the Free Officers, a group of disaffected officers in the Egyptian army founded by Gamal Abdel Nasser, and headed by General Muhammad Naguib, initiated the Egyptian Revolution of 1952 with the overthrew King Farouk, whom the military blamed for Egypt’s poor performance in the 1948 war with Israel and lack of progress in fighting poverty, disease, and illiteracy in Egypt. In the following two years, the Free Officers consolidated power, and, following a brief experiment with civilian rule, abrogated the 1953 constitution, and declared Egypt a republic on 18 June 1953, Muhammad Naguib as Egypt’s first President. 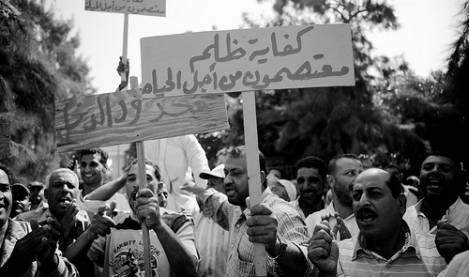 Within six months all civilian political parties were banned replaced by the “Liberation Rally” government party, the elites seeing a need for a “transitional authoritarianism” in light of Egypt’s poverty, illiteracy and lack of a large middle class. October and November 1954 saw the suppression of the large Islamist Muslim Brotherhood organization and the ousting and arrest of President Naguib who was replaced by Nasser. Nasser remained president until his death in 1970. After Nasser’s death, another of the original “free officers,” then Vice President Anwar el-Sadat, acceded to the office of the Presidency. He was not elected democratically. In 1971, Sadat concluded a treaty of friendship with the Soviet Union but, a year later, ordered Soviet advisers to leave. Nevertheless, up to 4,000 military Soviet advisers were being shared with Syria, and Soviet engineers continued to maintain Egyptian military radar and equipment during the October War. 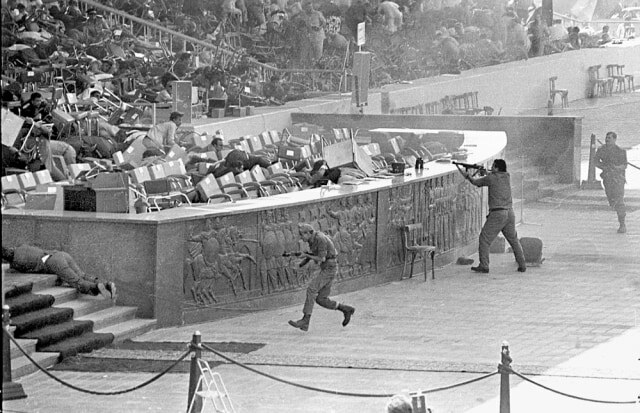 In 1973, Sadat launched the 6 October 1973 war with Israel. Egypt’s armed forces achieved initial successes in the Crossing of the Suez Canal and advanced 15 km, reaching the depth of the range of safe coverage of its own air force. Israel stunned by the attack but restore by infusion of weaponry from the US. In foreign relations Sadat also launched momentous change from the Nasser era. President Sadat shifted Egypt from a policy of confrontation with Israel to one of peaceful accommodation through negotiations. Following the Sinai Disengagement Agreements of 1974 and 1975, Sadat created a fresh opening for progress by his dramatic visit to Jerusalem in November 1977. This led to the invitation from President Jimmy Carter of the United States to President Sadat and Israeli Prime Minister Begin to enter trilateral negotiations at Camp David. The outcome was the historic Camp David accords, signed by Egypt and Israel and witnessed by the US on 17 September 1978. The accords led to the 26 March 1979, signing of the Egypt–Israel Peace Treaty, by which Egypt regained control of the Sinai in May 1982. Throughout this period, US–Egyptian relations steadily improved, and Egypt became one of America’s largest recipients of foreign aid. Sadat’s willingness to break ranks by making peace with Israel earned him the enmity of most other Arab states, however. In 1977, Egypt fought a short border war with Libya. 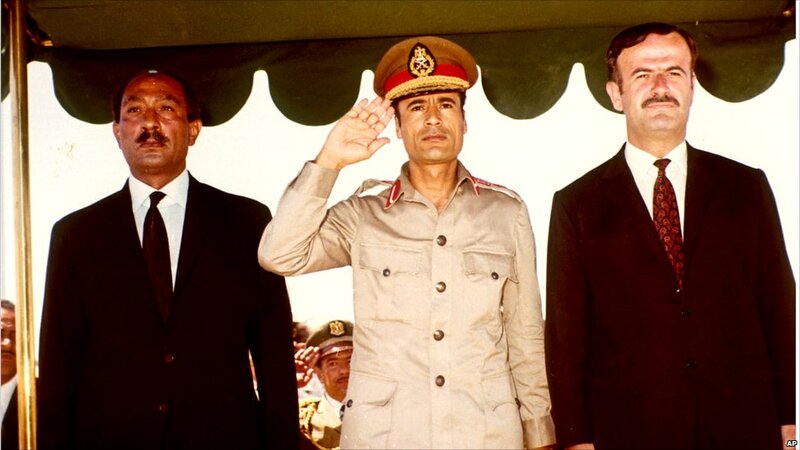 Sadat used his immense popularity with the Egyptian people to try to push through vast economic reforms that ended the socialistic controls of Nasserism. Sadat introduced greater political freedom and a new economic policy, the most important aspect of which was the infitah or “open door” that relaxed government controls over the economy and encouraged private investment. 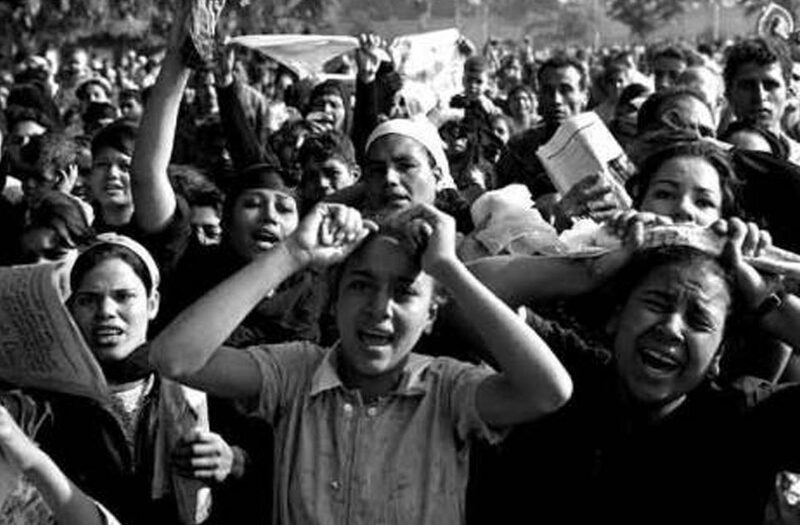 While the reforms created a wealthy and successful upper class and a small middle class, these reforms had little effect upon the average Egyptian who began to grow dissatisfied with Sadat’s rule. In 1977, Infitah policies led to massive spontaneous riots (‘Bread Riots’) involving hundreds of thousands of Egyptians when the state announced that it was retiring subsidies on basic foodstuffs. On 6 October 1981, President Sadat was assassinated by Islamic extremists. Hosni Mubarak, Vice President since 1975 and air force commander during the October 1973 war, was elected President later that month. He was subsequently “re-elected” by referendum for three more 6-year terms, most recently in September 2005, all but the 2005 vote lacking any competing candidate. Mubarak maintained Egypt’s commitment to the Camp David peace process, but was able to coax Arab countries into resuming diplomatic relations with Egypt and re-establishing Egypt’s position as an Arab leader. Egypt was readmitted to the Arab League in 1989. Egypt also has played a moderating role in such international forums as the UN and the Nonaligned Movement. Beginning on 25 January 2011, a series of street demonstrations, protests, and civil disobedience acts took place in Egypt, with organizers counting on the Tunisian uprising to inspire the crowds to mobilize. 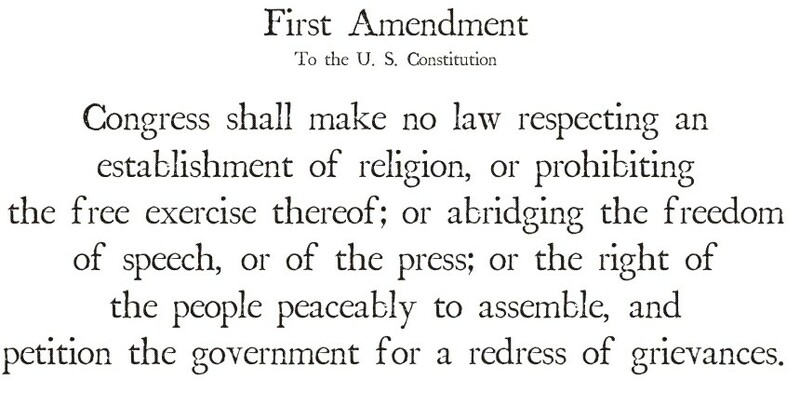 The demonstrations and riots were reported to have started over police brutality, state of emergency laws, unemployment, desire to raise the minimum wage, lack of housing, food inflation, corruption, lack of freedom of speech, and poor living conditions. The protests’ main goal at the beginning was mainly to protest against the above mentioned problems, but due to the reactions of the system which was considered late, inadequate and inconvenient the demonstrations started to develop and evolve so that the goal was to oust President Mubarak’s regime. Most observers and analysts noticed a unique feature about the revolution that it did not have any leader and it is a clear example of “The wisdom of the crowd”. 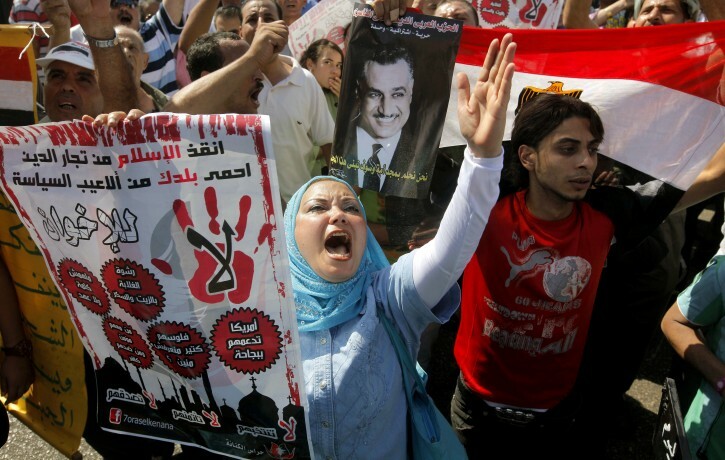 On 11 February 2011, President Mubarak resigned, relinquishing power to an interim military authority. 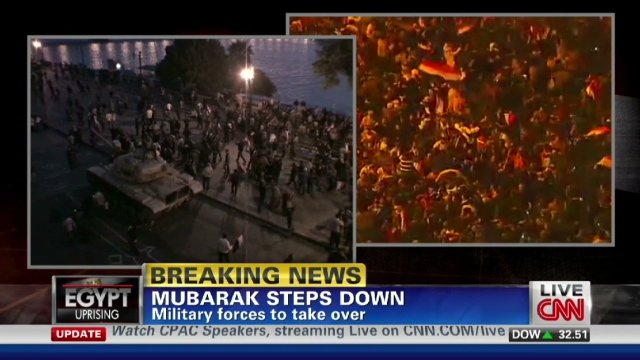 The democratically elected president, Mohammed Morsi, followed Mubarak’s resignation. 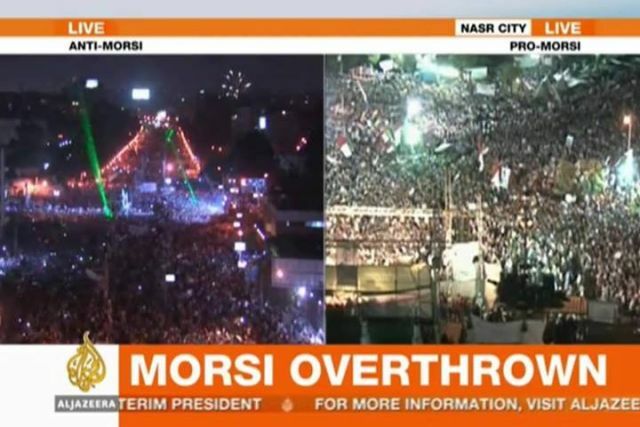 “Morsi and the entire presidential team are under house arrest in the Presidential Republican Guards Club,” Gehad El-Haddad, the son of a top Morsi aide, told AFP news agency on Thursday. Haddad’s father, Essam El-Haddad, widely seen as Morsi’s right-hand man, was among those held, he added. #AceHistory2Research – CALIFORNIA – March 29 – The first strong earthquake listed in earthquake annals for California occurred in the Los Angeles region in 1769, probably near the San Andreas Fault. Four violent shocks were recorded by the Gaspar de Portola Expedition, in camp about 30 miles south-east of Los Angeles centre. Most authorities speculate, even though the record is very incomplete, that this was a major earthquake. Forty persons attending church at San Juan Capistrano on December 8, 1812, were killed by a strong earthquake that destroyed the church. Many mission buildings were severely damaged there and at San Gabriel. The shock probably centred on a submarine fault offshore. 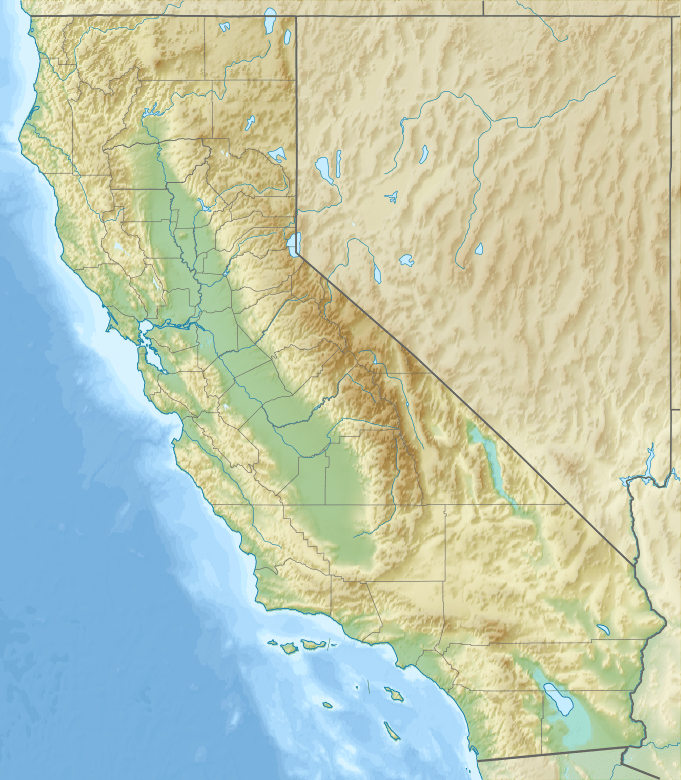 An earthquake in the Sierra – Nevada Fault system in March 1872, killed 27 people at Lone Pine and destroyed 52 of 59 adobe houses. Near Owens Lake, numerous depressions formed between cracks in the earth. One area 200 to 300 feet wide sank 20 to 30 feet; several long, narrow ponds formed. Thousands of aftershocks, some severe, appear to have occurred. Nearly all brick structures were wrecked, and many frame buildings were damaged in Vacaville by an earthquake on April 19, 1892. Damage was similar at Winters and Dixon, two small towns nearby. Ground fissures were noted in the area. 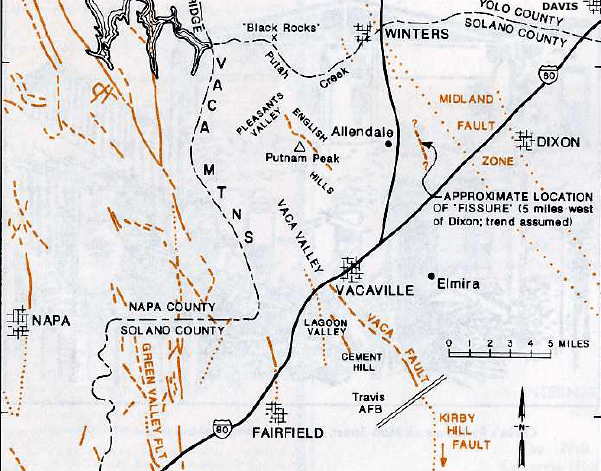 The shock centred north of Santa Rosa, in the Healdsburg Fault area. #AceHistory2Research – YUGOSLAVIA – MARCH 24 – Fifteen years after NATO’s 78-day bombardment of Yugoslavia, memories of the bombing still haunt present-day Serbia. NATO killed over 2,000 people, hundreds were civilians, 88 were children. Serbs ask ‘why?’ above all. Why did NATO smash their cities, kill their children, bomb hospitals and schools? RT presents ‘Zashto?’ (Why?) on the trauma of terror in Serbia.